As a safe access and fall protection supplier, many times Benko Products is asked to incorporate loading arms into our solutions. While we do not fabricate the loading arms, we do have the ability to help our clients with sourcing loading arms from various manufacturers. Selecting the correct arm is not as easy as one might think. This is particularly the case for terminal operations or other sites that need the ability to service various trucks and rail cars, sometimes multiple compartments, at the same time. Many pipe companies use the acronym “STAMP” - Size, Temperature, Application, Media, Pressure for asking questions. One thing that sometimes gets over looked is how the arm will store when not in use. Identifying where the arm will store is extremely important. The last thing anyone wants is to learn that the arm interferes with other devices. 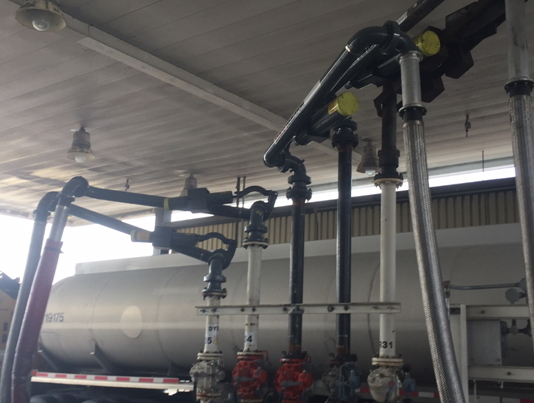 Terminal operators have an extra challenge, as they typically are loading/unloading more than one product at a station and may have multiple loading arms. Configuring the arm is especially challenging for engineering, safety, process personnel, and maintenance. Each of these departments have unique requirements, needs and wants that must be taken into consideration before the deployment of a solution. 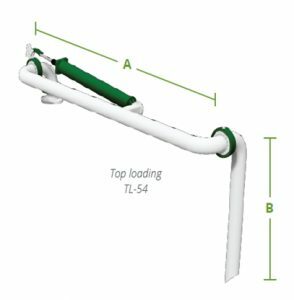 If you need help with loading arms either for new or existing loading or unloading stations, Benko Product’s GREEN Access & Fall Protection team is available to help. Even if there is not an immediate need and only a “down the road” interest, we can have a quick 10 minutes exploratory conversation over the phone. Call today 440-934-2180, and we can decide together if we can help and if a site meeting is needed. Author Christopher J. Roark is the International Sales Manager for GREEN Access & Fall Production a division of Benko Products, Inc. He can be reached at 919-670-6266 or cjroark -at- benkoproducts -dot- com. GREEN Access & Fall Production has been a trusted leader in safety equipment for more than 50 years, designing and building the industry’s leading access and fall protection equipment for trucks and railcars and other industrial needs. For more information on GREEN Access & Fall Protection, please visit www.green-mfg.com.